Why Do I Get Light Headed in the Shower? Have you ever felt as though you were fainting in the shower? 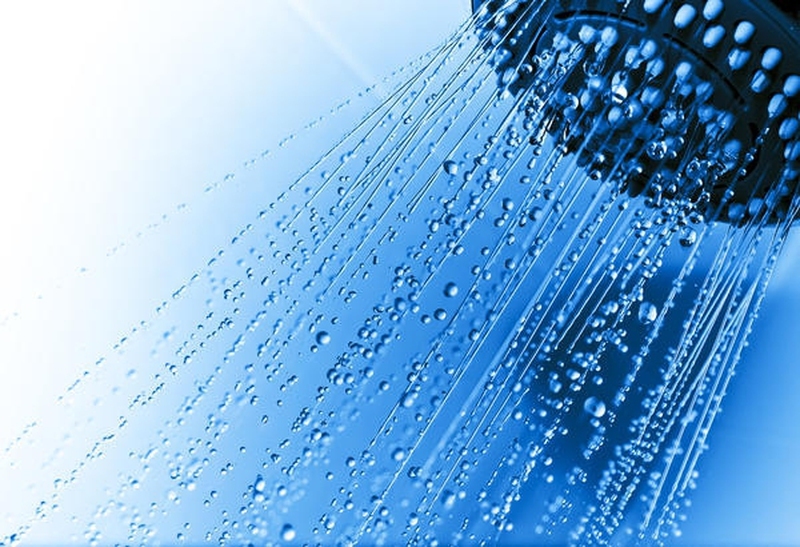 Many people suffer from the odd situation of feeling light headed or faint when they are in the warm shower or bath. It can definitely be a strange, even frightening feeling. If you ever wonder, why do I get light headed in the shower, we have several reasons – but keep in mind that even though it might be easily explained most of the time, regular bouts of dizziness or faintness should be discussed with your doctor. Why do I get light headed in the shower? There are numerous reasons why this might happen to you. If you happen to be pregnant, very dehydrated or very hungry, you might feel faint from time to time. You might also have liquid in your inner ear, which can make you feel strangely off-kilter and light headed. It might also be the water itself, as some people are very sensitive to things like fluoride or chlorine, as well as other chemicals that might be present in the water. Remember that the hot water alone could be enough to make you feel light headed. If you go from one extreme to another – for instance, stepping from a cold house into a hot. Don’t discount other problems that you might not have considered. If you have recently changed medications, that might affect you. If you have an infection or have suffered through a hospitalization recently, your body might not be able to handle the usual activities, and that can make you light headed. Those who suffer from problems with blood sugar often report that they feel dizzy, nauseas and light headed. This might often happen to those who have thyroid problems, or those who do not get enough iodine in their diet. Low blood pressure could also lead to light headed in the shower. When you soak in a hot shower, sauna, or any other place that turns up the heat, the blood vessels in your body open up a bit to bring down your body temperature. This means that suddenly you could feel very lightheaded. Other symptoms of low blood pressure might include tunnel vision, a ringing in your ears, feeling dizzy, fainting, or even nausea and vomiting. You might also begin to sweat, though that can be tough to notice in a hot shower. Orthostatic Intolerance (OI). These fancy words mean simply this: You might feel the symptoms of fainting or dizziness when you stand upright, but they go away as soon as you sit or lie down. These symptoms might include feeling light headed, as well as fatigue, vision problems, and headache. What triggers OI? It often happens when someone is upright for a long time, such as standing in a hot shower for several minutes, or even sitting up at their desk for several hours. The warmer the area is, the more likely symptoms will be triggered. Going through stressful events might also make it more common to have episodes of OI. Less common reasons include being on extended best rest or not getting enough fluid or salt in your diet. Interestingly enough, this often happens to astronauts who have just returned from space – their bodies are not yet used to the gravity of earth, so they experience strange symptoms, including those of OI. Why do I get light headed in the shower? Is it a serious problem? Is there something wrong with me? These are all questions that might run through your head right after you feel light headed. It is important to remember that most reasons for feeling light headed are easily resolved, or they mean very little. You are probably just fine. However, it is important to take care of yourself. Make sure you are eating and drinking enough. Don’t exercise your way into exhaustion, but do take care of your body as best you can. Get plenty of sleep, and let your body rest when it needs to do so. If you are still worried about feeling light headed in the shower or if it happens often, it’s time to call the doctor. It’s always better to be safe rather than sorry! Why do people faint in the shower? It is often because they don’t respond to these warning signs in time. When you feel the slightest bit faint or dizzy, sit down with your head between your legs. If you are going to pass out, you want to do so from a sitting position, rather than a standing one, to help negate the risk of injury. Sitting down might also make you immediately feel better, and that’s what you want! Lower the temperature of your water for a bit and see if that helps. If you have the episode more than once, it’s time to talk to the doctor. You might want to figure out if you are pregnant, if you have some sort of underlying medical condition, or if you are getting adequate water and nutrition. You can also monitor your blood pressure at home and see if it drops lower during those times when you feel light headed or dizzy. Server responsed at: 04/21/2019 10:38 p.m.